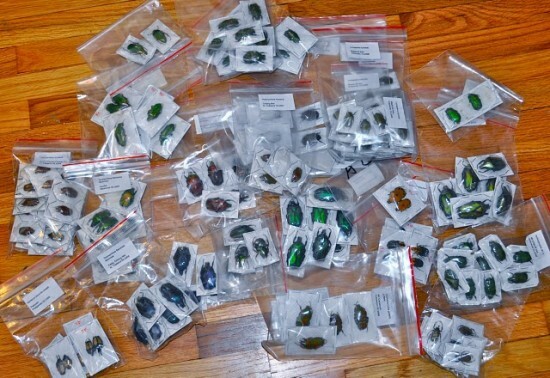 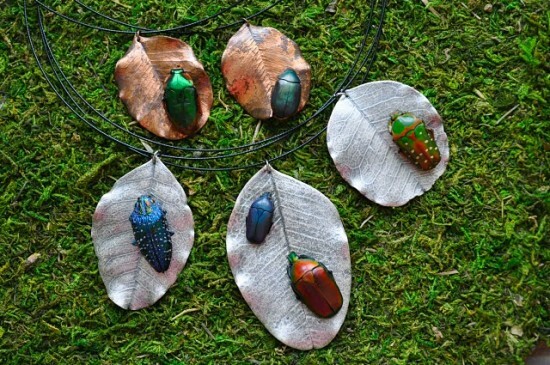 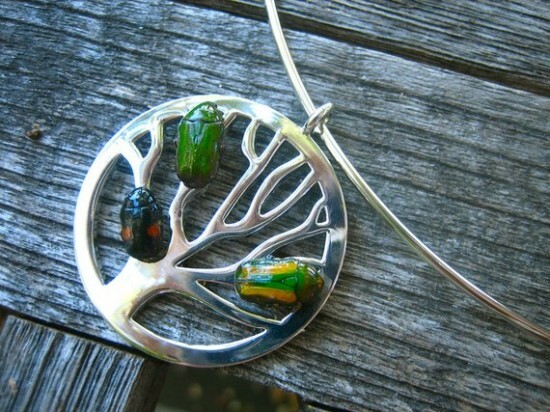 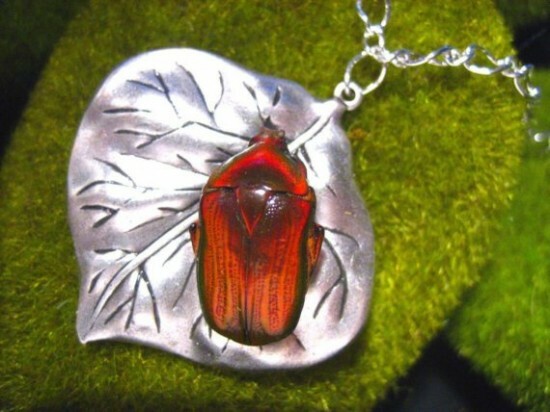 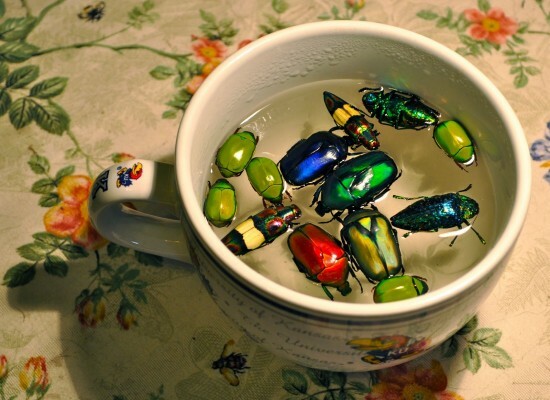 The “Living Jewels” created by Etsy artist aquakej are made from real colorful insects collected from all around the world. 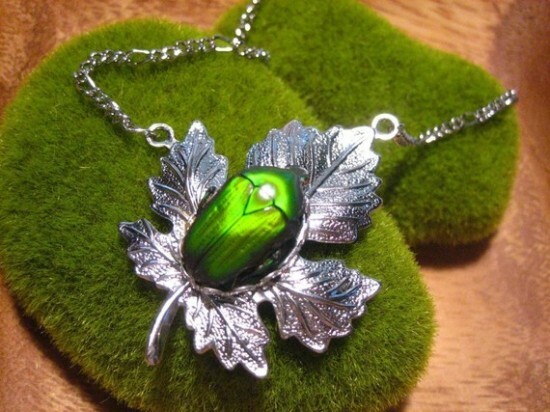 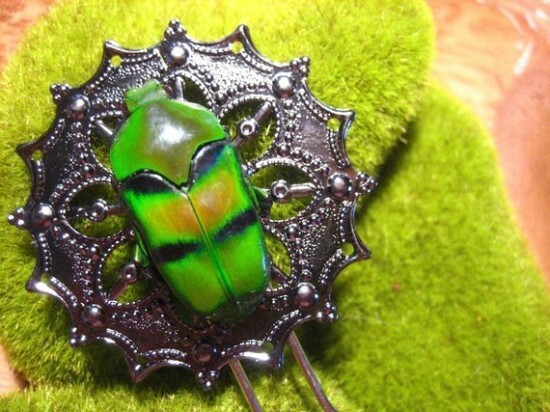 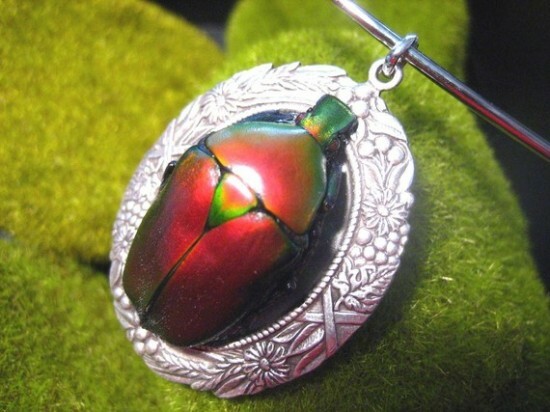 Insect art is definitely not for everyone, but if the mere thought of bugs doesn’t make your skin crawl, you might actually consider wearing one of these unusual accessories. 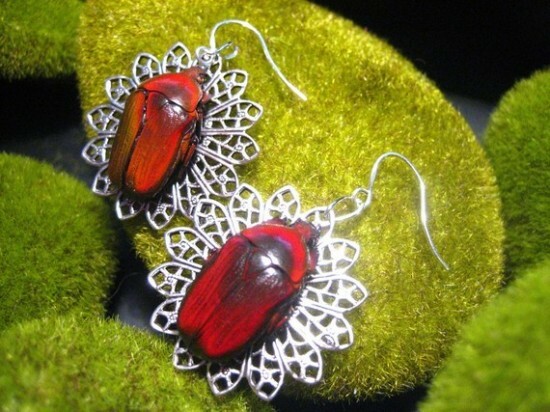 The Insects come from various insect farms that provide a healthy and eco-friendly living for people in developing countries, so you don’t have to feel guilty about wearing insect species into extinction. 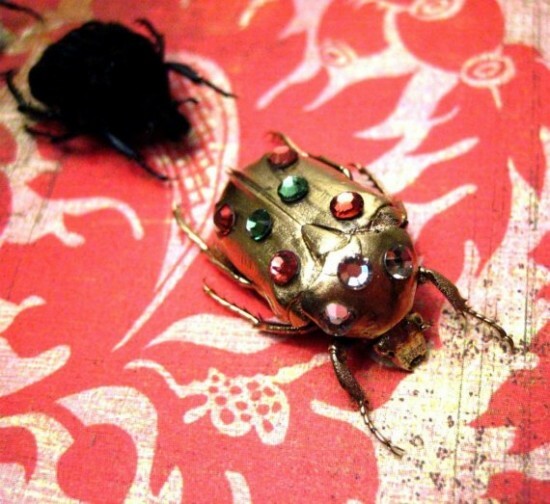 Unique is right, but I’m not sure I’d willingly have these creepy crawlies on my body, but if you like them, you can check the artist’s shop and official site.